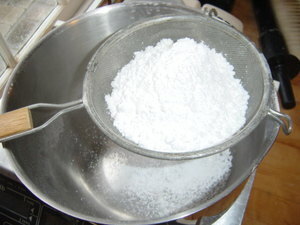 Sift the flours, baking soda and salt together. 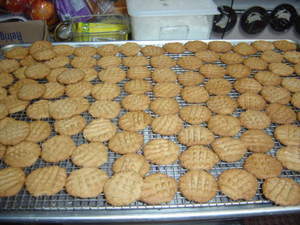 Cream butter, peanut butter, and sugars till light and fluffy. 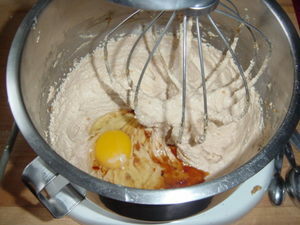 Add vanilla and egg cream some more (about 3 more minutes). 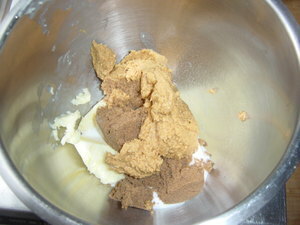 Stir in flour mixture by hand (don't overwork). 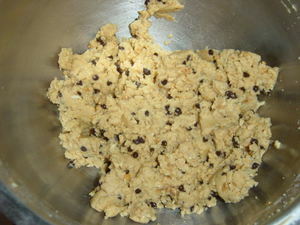 Drop heaping tablespoons of batter on the lined cookie sheet, about 2 apart. 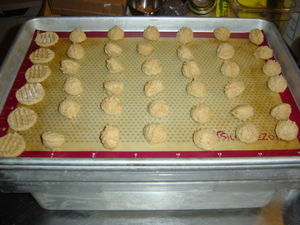 Flatten with floured fingers to 2 round. 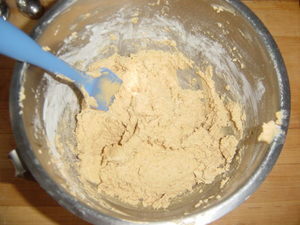 Cream confectioners sugar, butter and peanut butter until smooth. 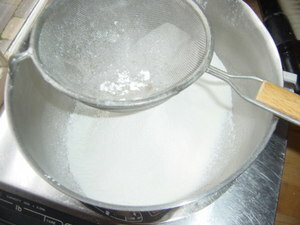 I always sift my confectioner's sugar as it tends to get lumpy (I buy at a bulk food store, and it will sit a bit here). 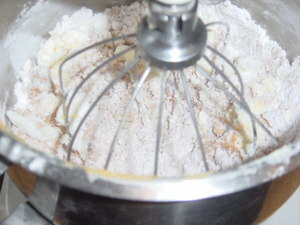 Add cream and cream till smooth and fluffy. 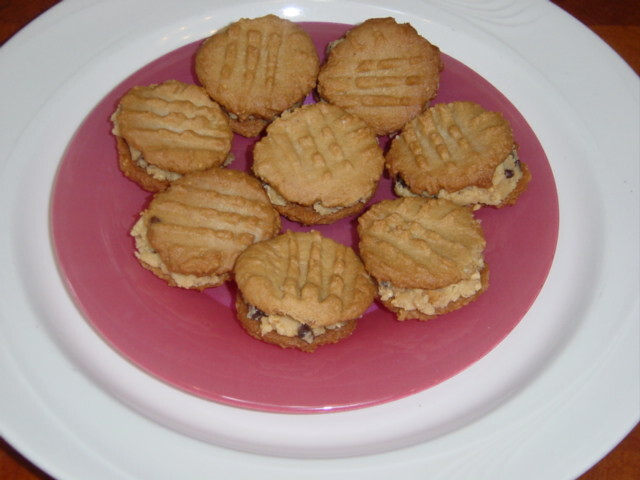 Spread some filling on a cookie, and press top onto it.